Each Inland Northwest restaurant’s 3-course dinner is priced at either $21 or $31. 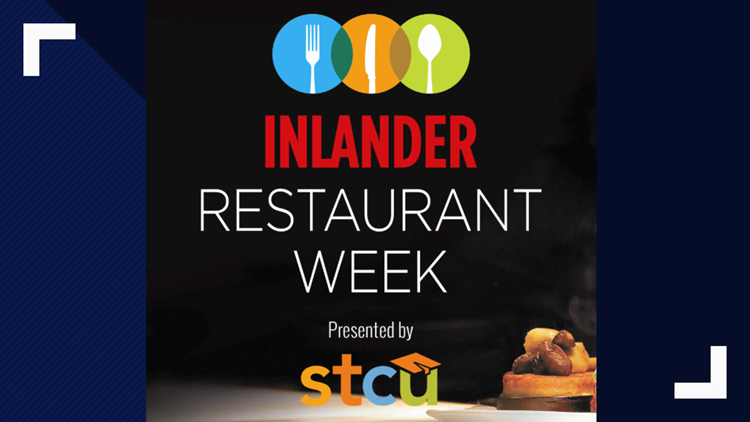 Inlander Restaurant Week is an annual Inland Northwest tradition. This year you have a choice of delicious delicacies from nearly 100 restaurants from Feb. 21 to Mar. 2. The menus at participating restaurants are fixed price, meaning you know how much you will pay ahead of time. Each restaurant’s 3-course dinner is priced at either $21 or $31. You will have three choices for each course. It is a good idea to make dinner reservations before you go. Some places also have add-ons or upgrades for a clearly marked cost, and all participating restaurants carry local wine, beer and spirits. KREM has picked out five of the best deals to jump on during this year’s Restaurant Week. You can find a list of all participating restaurants online. If you want to enjoy lake views, signature dishes and award-winning wines in the heart of Coeur d’Alene, look no further than a trip to Beverly’s for Restaurant Week. Dishes at Beverly’s normally cost more than $30 but you can enjoy a three-course meal for $31 during Restaurant Week. The choices include Seafood Trio, Asian Duck Confit or Baked Brie en Croute for the first course; Surf and Turf, Idaho Ruby Red Rainbow Trout and Prawns or Elk Osso Buco for the second course; and Warm Chocolate Toffee Pecan Skillet Cookie, Vanilla Bean Crème Brulle or Huckleberry Doughnuts for dessert. The menu is served Monday through Sunday from 5 p.m. to close. Most entrees at Clinkerdagger in Spokane are normally between $30 and $40, similar to Beverly’s in Coeur d’Alene. The restaurant is also offering three courses for $31 during Restaurant Week. The options for a first course include Broadway Pea Salad, Hearts of Romaine Caesar and New England Clam Chowder; Oven-roasted Chicken Dijon, Fresh Oven-roasted Salmon and Rock Salt Roasted Prime Rib for a second course; and Burnt Crème, Key Lime Pie and Amaretto Chocolate Mousse for dessert. The menu is served Monday through Sunday from 4:30 to 9 p.m. This restaurant serving up French cuisine in Post Falls is a must during Restaurant Week. Its restaurant week menu includes some of its signature dishes for $31. The first course includes a choice between French Onion Soup, Crispy Snails and Smokes Beef Carpaccio; Pork cheeks ‘à la Bourguignonne’, Salmon ‘à la nage’ and Chicken ‘à la Provencal’ for the second course; and Colonel with Dry Fly Vodka, Brush Creek Blue Cheese and Tarte ‘belle Helene for dessert. The menu is served Monday through Saturday from 5 p.m. to close. Twigs is a Spokane favorite, so it’s an obvious choice for many diners during Restaurant Week. Huckleberry, an Inland Northwest delicacy, makes an appear in several of the dishes. Twigs is offering three courses for $31. The first course includes a choice between Prawn Wonton Cups, Spinach Apple Salad and Gyro Tacos; Wild Mushroom Schnitzel, Huckleberry Duck and Short Rib Gnocchi for the second course; and Dark Cherry Chocolate Tart, a cocktail made with liquor and tequila, and a Huckleberry Cheesecake Martini for dessert. The menu is served Monday through Sunday from 11 a.m. to close. Wandering Table is a romantic restaurant set in the heart of Kendall Yards, making it a great choice for couples looking for date night ideas. The Restaurant Week menu includes several fan favorites – including Crispy Washington Steelhead and popcorn cauliflower – for $31. The first course is a choice between Butternut Squash Masala Chai Soup, Popcorn Cauliflower and Crispy Brussels Sprouts; the second course is a choice between Squash-Pear Salad, White Cheddar Baby Kale Salad and Duck Bacon; and the third course is V Paella, Crispy Washington Steelhead and Bistro Steak. The menu is served Monday through Sunday from 4 p.m. to close.